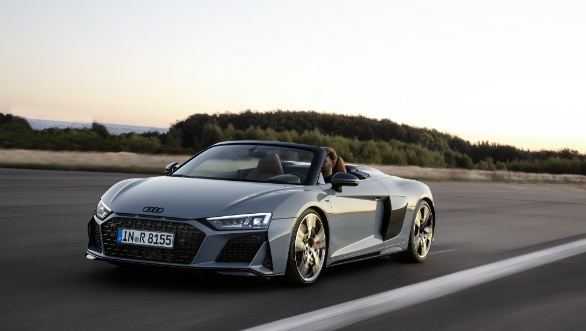 Audi Sport, Audi's performance division, has released details of the updated Audi R8 supercar set to be launched early next year. This is effectively a midlife update for the brand's flagship sportscar which first launched in 2015. The R8's styling has received a fairly significant update. The front fascia has been updated with a wider, flatter design for the grille. There are three slits above this which are reminiscent of the original Quattro. There are now wider air intakes on the sides and the new front splitter is now wider, as is the striking low-set air vent grille at the rear. 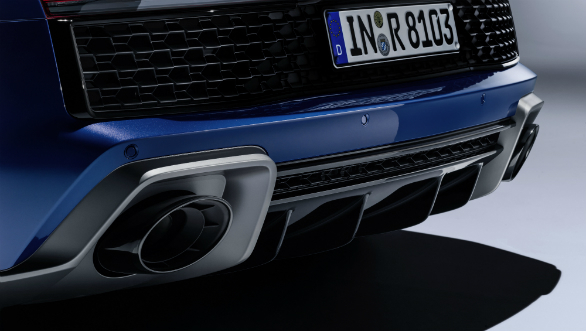 R8 customers can choose from up to three exterior packages, depending on the engine variant; these packages add various highlights to the front splitter, the side trims and the diffuser. A low-set air vent at the rear rounds off the changes. 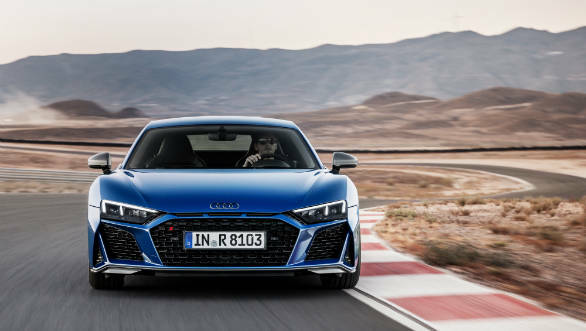 There are new power outputs for the Audi R8's V10 powertrain. This engine will be available in two power outputs. These will be an improvement over the 532PS of the base R8 and the 603PS of the V10 Plus. The exact power figures haven't been revealed yet. The electronic power steering has been updated as well. The company claims that there is better response and more feedback. Modifications have also been made to the suspension to provide even more stability and precision. There are three additional drive modes now available-dry, wet, and snow. The electronic stability program has been updated to reduce stopping distances by as much as five feet. Rounding off the changes are a new set of alloy wheels. The standard sets are 19-inchers but an optional 20-inch design is available as an option. The Audi R8 has been a great derivation of the firms' prowess in sportscar racing in road car form. The second generation has been slightly overshadowed lately, by a constant stream of new competitors, which this update should remedy. The new car also helps fix some of the polarising styling elements seen on the last car.